Date and Time: August 25, 2018; 9:30a-3:30p. Registration Fee: $50.00 for Desert Sleuths Chapter Members, $75.00 for non-members (snacks and lunch included). Sisters in Crime Desert Sleuths Chapter 2018 registered members are able to purchase tickets at a discounted rate. You must be a registered member of both Desert Sleuths Chapter and Sisters in Crime national for the member rate. Membership will be verified. Additionally, we welcome everyone to join Sisters in Crime national and the Desert Sleuths chapter. If you run into any registration processing issues, or have any questions, please contact desertsleuths@gmail.com. Credit card and debit card payments are due at the time of registration. If paying by credit card or debit card DO NOT PUT IN A ZIP CODE for shipping fees as nothing will be shipped and the shipping charge cannot be refunded. We prefer you pay via PayPal at the time of registration, however you may pay in advance with cash or check at our member meetings or you may mail a check/money order to our P.O. Box. All payments that are mailed must be postmarked by August 17. If you miss the postmark deadline and still want to pay by check, please contact us at desertsleuths@gmail.com. 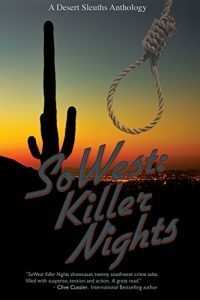 Cancellations received by email (at desertsleuths@gmail.com) no later than August 20, 2018 – OR – postmarked no later than August 17, 2018 and received at the Desert Sleuths mailing address, will receive a full refund minus $10. No refunds after August 20, 2018. Come tour the Crime Lab with the Sisters in Crime Desert Sleuths Chapter. You learned how the police process crime scenes at our Crime Scene Investigation Workshop with Detective Timothy Moore (Retired). This is the next step. See how the police process the evidence gathered from a crime scene. Personnel from the Phoenix Police Department will facilitate a tour of the Laboratory Services Bureau, AKA the Crime Lab. The Crime Lab is a nationally accredited forensic laboratory that provides technical assistance and training, evaluates and analyzes evidence, interprets results and provides expert testimony related to the full spectrum of physical evidence recovered from crime scenes. Some of the scientific procedures utilized by the laboratory have the potential for linking a suspect to a crime, victim, or a scene. The Phoenix Police Department Laboratory Services Bureau consists of over 140 professional staff working in specialized sections which include Evidence Processing, Latent Prints, Crime Scene Response, Forensic Biology, Controlled Substances, Questioned Documents, Trace, Toxicology, and Firearms. Information on specific disciplines can be found on the PPD website. Writers will have the opportunity to ask questions for each discipline to learn how the police process various types of evidence and crime scenes. This information is valuable in articulating realistic crime scenes. This is a secure facility. All attendees will have their identification confirmed. By registering, you are authorizing the PPD to conduct a background/criminal history check. Registration due by October 15, so the background check has time to be completed. Please do not bring: Firearms. There is no onsite parking. Carpooling is heavily recommended. Parking will be limited in downtown Phoenix. Garage facilities are located several blocks from the Crime Lab in addition to streetside meter parking. You must be a Sisters in Crime Desert Sleuths Chapter Member at the time of registration. Click here to Join/Renew. Detective Timothy Moore (Retired) will walk us through a mock crime scene where YOU will determine what crimes occurred, what the best evidence that leads to the suspects is, and what the motivation was for these crimes. Writers will learn how the police process a crime scene and how to write realistic crime scene investigation. This presentation will also include an introduction to handguns. Learn to articulate what gun was used, whether it was a revolver or semi-automatic, and what the most popular calibers used in murders are. Includes: Coffee, water, and light snacks. Please bring: A brown bag lunch. Seating is limited to the first forty members. You must be a Sisters in Crime Desert Sleuths Chapter Member at the time of registration.